I'm looking for an algorithm that can pinches a shape in a way to become pointy on both ends. 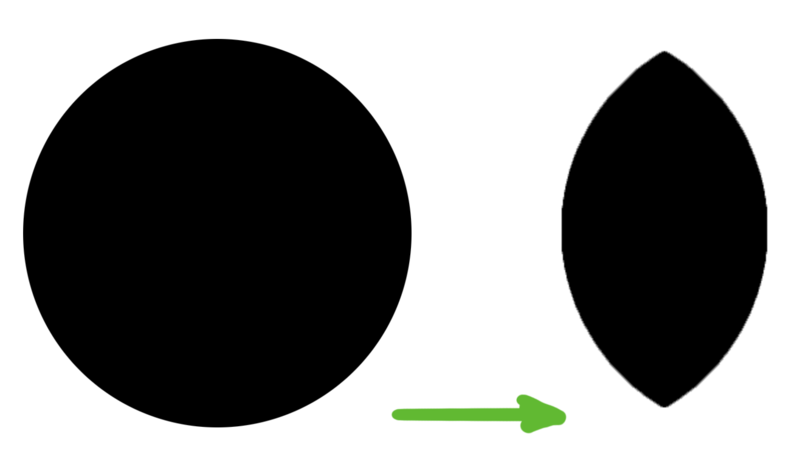 Like this image, transforming the shape on the left to the right. The result is literally similar to intersection Boolean of two circles but I'm looking for a transform function that can do it. How do a transformation 'born'? How to calculate Fourier transform on a linear discontinuous function? Is it possible to dissect a circle of radius 9 into 81 equal areas, using only circles?